Outscoring Canada 33-14 in the third quarter, the 2016 USA Women’s U18 National Team (5-0) took control of its game against Canada (4-1) in the second half on its way to a 109-62 victory and a gold medal at the 2016 FIBA Americas U18 Championship on Sunday night in Valdivia, Chile. USA forward Lauren Cox (Flower Mound H.S./Flower Mound, Texas), who had 15 points against Canada, was named tournament MVP. 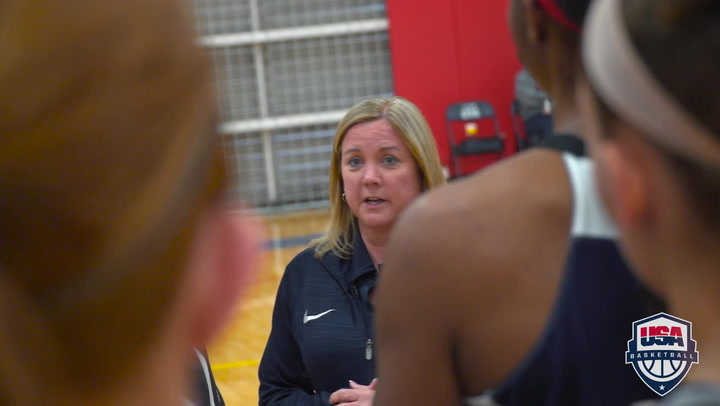 The gold medal was the USA U18 women’s eighth-straight and ninth overall at the event, and the U.S. women are now 53-2 all-time in FIBA Americas U18 Championship play. In the bronze medal game, Brazil (3-2) topped Puerto Rico (2-3) 74-60. 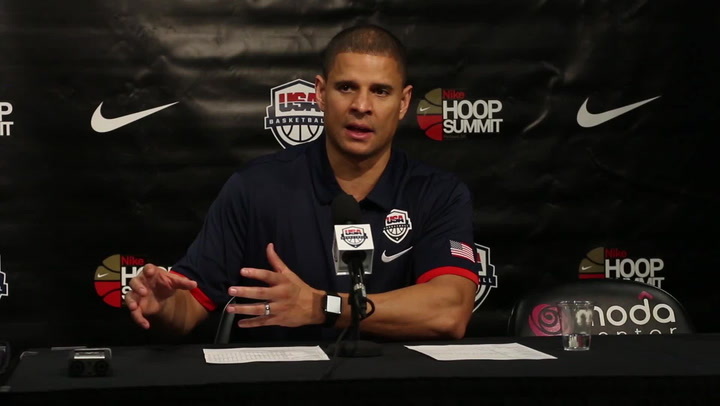 The top four teams, including the USA, Brazil, Canada and Puerto Rico, earned a berth into the 2017 FIBA U17 World Championship (site and dates to be determined). 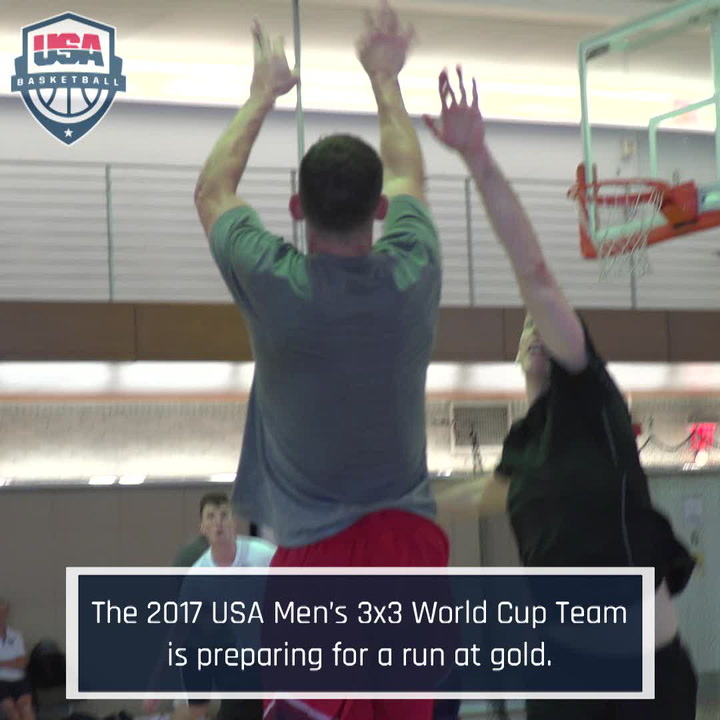 The USA had six players in double-digit scoring and committed just three turnovers while forcing Canada into 24 turnovers. Tyasha Harris (Heritage Christian/Noblesville, Ind.) led the USA with 18 points to go along with four steals and three assists; Megan Walker (Monacan H.S./Chesterfield, Va.) had 12 points and four assists; Chennedy Carter (Timberview H.S./Mansfield, Texas) and Ruthy Hebard (West Valley H.S./Fairbanks, Alaska) each scored 11 points; and Amber Ramirez (Karen Wagner H.S./San Antonio, Texas) contributed 10 points. The USA put the first points on the board, but the score was tied eight times in the first period as the teams traded baskets. With the teams knotted at 20-all and less than one minute remaining, Harris put the final three points of the period on the board to lead 23-20 headed into the second quarter. The USA opened the second period with an 8-0 run to lead 31-20 before Canada ended the spurt with a basket with 7:36 on the clock. The USA scored five more unanswered points to lead 36-22 at 6:09, and then outscored Canada 15-10 over the remainder of the quarter to take a 51-34 halftime lead. At the midway point, the USA had just two turnovers while forcing Canada into 12 turnovers, which helped it tally 12 fast-break points to Canada’s zero points in transition. The USA blew the game open in the third quarter, putting together two 5-0 runs followed by two 6-0 runs to pull away from Canada. While the U.S. offense put up 33 points overall, its defense allowed Canada just 14 points to lead 84-48 headed into the final 10 minutes. The USA continued to improve upon its lead in the fourth quarter and tallied 25 to Canada’s 14 to record the 109-62 win. “We just kept pushing the tempo and stayed with the system,” Harris said. Rellah Boothe (IMG Academy/Ocala, Fla.) set a USA women’s U18 competition free throw percentage record by shooting 9-of-9 from the line, and Cox set a record for blocked shots averaged with 2.8 blocks per game. 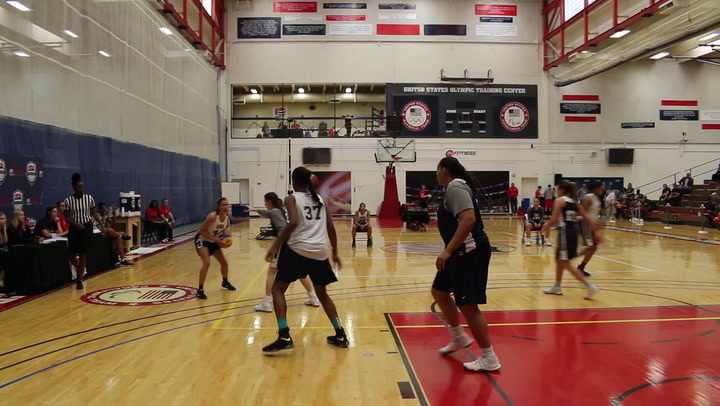 As a team, the USA set women’s U18 competition records for most field goals attempted (403), mot 3-pointers attempted (87) and most rebounds (296). In the seventh place game, Venezuela (2-3) beat Guatemala (0-5) 77-64, and in the fifth place game Mexico (3-2) defeated Chile (1-4) 85-51. 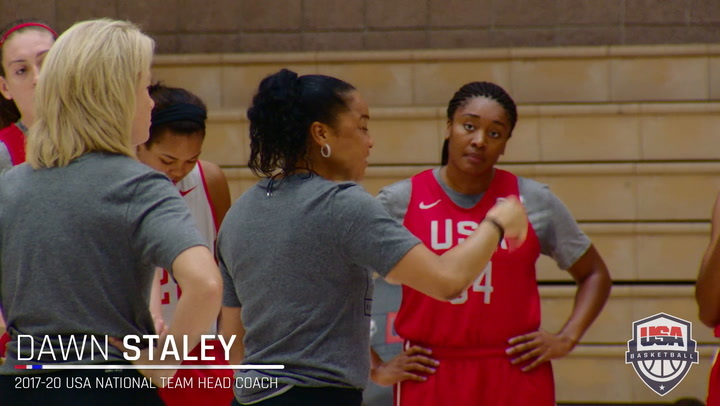 The USA’s assistant coaches were Kamie Ethridge (Northern Colorado) and Charlotte Smith (Elon).